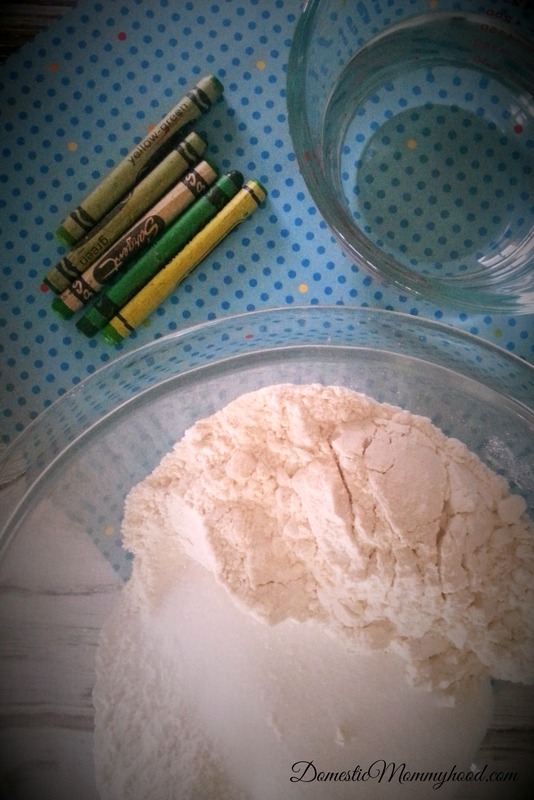 We are always looking for new uses for old crayons and the kids absolutely loved making this DIY Crayon Play-Doh today! We started out with a little color sorting to practice our colors then we added on a little math by counting the different colors of the crayons and how many were in each group. Then we got a little social studies into the learning mix by taking a vote to see what color we would use first to make the crayon play-doh. Add in the mixing of ingredients and making it I would say we learned quite a lot today! Have the children peel the wrapper off of your crayons and assist them in cutting them into small pieces. I know that some of you parents and teachers are a little upset that you are teaching the kiddos to peel the wrappers off but it is very good for their small motor development. This will help them greatly later on in life. So no cringing while they are peeling them! They are hard at work and learning skills. In a pan over medium heat combine your vegetable oil and crayons. Continue to stir gently until the crayons melt. Slowly add in 1 cup of water and stir. 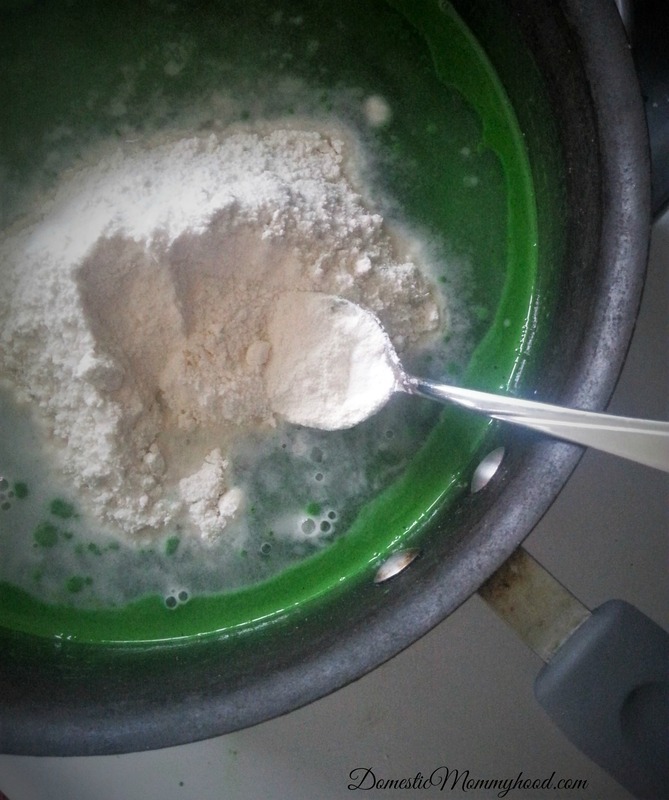 Slowly add in your dry ingredients to the mixture and continue to stir as well as you can (I find a wooden spoon works best, be careful not to break it). Remove from heat and allow to cool enough so that you don’t burn yourself. 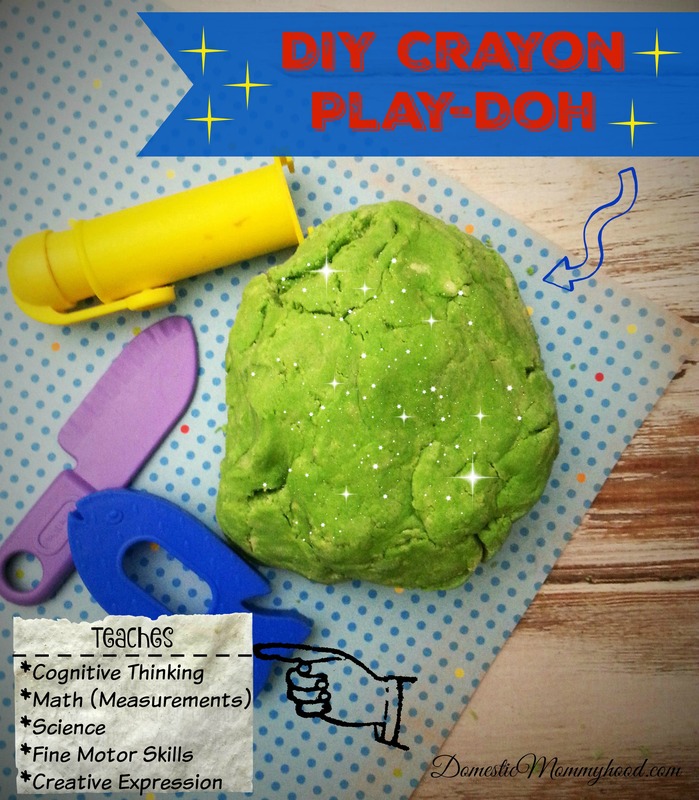 The Play-doh will be very warm so be careful.